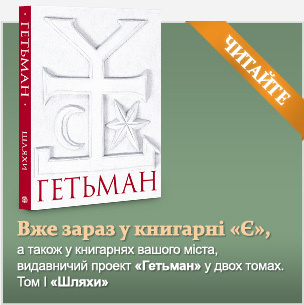 This report on the archaeological research in Baturyn last summer by Dr. Volodymyr Mezentsev is placed in the “Library” section in PDF format with illustrations. It is an off-print from the bulletin of the Canadian Committee of Byzantinists Canadio-Byzantina, No. 29, University of Ottawa, January 2019, pp. 10-14, republished here with the permission of the author. Our colleague, Dr. Mezentsev, regularly submits his articles and booklets on the history and culture of Ivan Mazepa’s capital to this website. Two new publications have been added to the heading “Library”. This is the work of the noted Ukrainian historian Borys Krupnyts’kyi “Theophan Prokopovich and the Swedes” published in 1934 and the article of Vasyl Vytvyts’kyi dedicated to the analysis of the Carl Loewe’s musical composition based on works by George Byron. Both publications deserve attention of the curious readers. In view of the fact that we have already presented to our website visitors the different musical compositions somehow or other linked to the name of Ivan Mazepa or dedicated to him, we considered necessary to present the new project under name “Ukrainian chant of XVII–XVIII centuries”. Ідея полягала в тому, аби сприяти формуванню загального уявлення відвідувачів сайту про музичну культуру мазепинських часів, у тому числі, мати можливість почути ті твори, які колись виконував сам Іван Мазепа у супроводі старосвітського інструменту, що називався торбан. Under the heading “Museum” a new publication dedicated to the antiques from Mazepa age kept by the museums all over the world appeared.